Sparks House is a three level commercial building south of Christchurch city centre that suffered significant damage in the February 2011 earthquake. Following engineering inspections, the building was deemed recoverable however, along with a complete re-fit, a new foundation system was required. 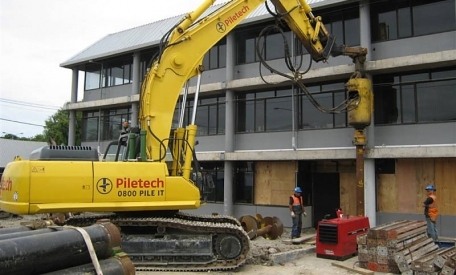 Piletech was contracted to design, supply and install 35 new screw piles. 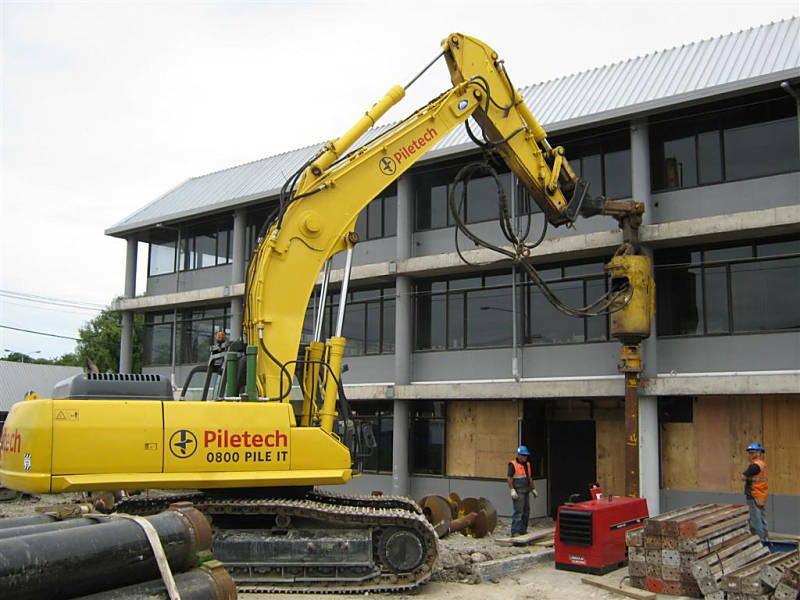 A 12 tonne excavator was used to access the inside of the building, installing piles approximately 12 metres deep in just over 3 metres of head room. Piling was then completed with a 35 tonne excavator installing piles around the perimeter of the structure.